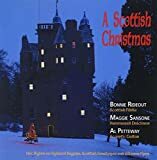 When decorating your home this year with tartan ribbons and wreaths, or while baking shortbread for the neighbors or a party, put on a bit of Scottish Christmas music to help set the mood (a hot toddy wouldn't hurt either J). Scottish Christmas music lends the haunting sounds of pipes to traditional carols and songs. Or choose the soaring voices of Celtic singers Enya and Loreena McKennitt. 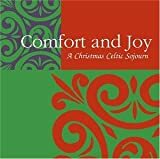 This selection of Scottish and Celtic CDs will put you in the Christmas spirit for sure. 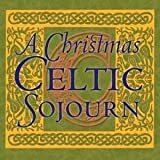 Less well-known songs from a variety of Irish, Scots and Briton artists - a wonderful selection for the true flavor of a Celtic Christmas. Lively pipes and fiddles will jolly you up and get you dancing to both traditional and Scots holiday songs. A terrific CD. Highly recommended. 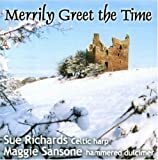 The title is misleading, since the music hasn't much to do with Christmas - but this is a great party music CD and includes the Weavers doing Auld Lang Syne. A great pick for your New Year's Eve party. 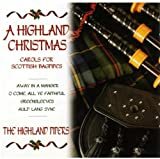 Traditional Christmas Carols rendered in beautiful Scottish voices with pipes and drums for accompaniment. 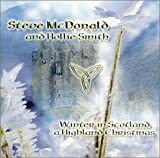 A wonderful choice to add Scottish flavor to your Christmas music collection. 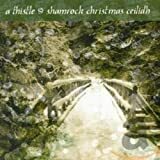 Modern New Age Celtic and traditional folk songs, mostly instrumental, with a few sung in Gaelic. A completely new take on what Christmas songs may be like. Beautiful music. 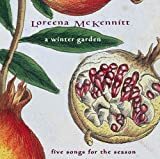 Her beautiful voice and harp accompaniment are the backbone of this lovely EP which includes Coventry Carol, God Rest Ye Merry, Gentlemen, and Good King Wenceslas. Wonderful. EP means there are only 5 tracks, only one of which is a Christmas song. However, that one is "Silent Night" sung in Gaelic by the most popular New Age singer of our time. If you're a fan, or if you want to hear this beloved song in Gaelic, you gotta have it. 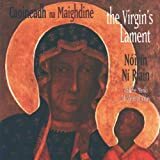 Nóirín Ní Riain's beautiful soprano soars over the deeper voices of the monks as they sing (and chant) medieval Celtic religious music in Gaelic and Latin. Amazing, wonderful, profound. 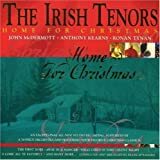 All our favorite Christmas songs sung by gorgeous male voices with an Irish lilt. Nothing could be cheerier for the holiday season. 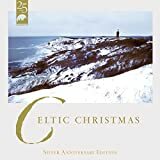 A treasury of traditional Celtic countries Christmas carols performed by a various well-known artists. Traditional favorites played on the bagpipes, including Auld Lang Syne.